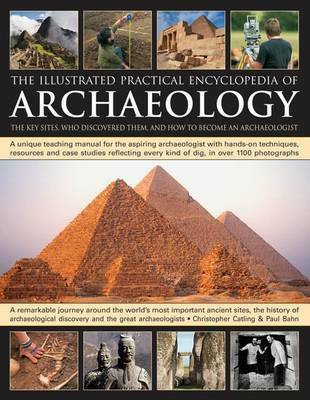 This book is a hands-on resource for the amateur, student or volunteer as well as a reference for those interested in the world's greatest archaeological finds and the people who discovered them. The first part of the book explores the many fields of archaeology, from forensics applied to burial sites through to the deciphering of ancient languages. The techniques involved in an excavation are unravelled, from the initial surface sampling of a site to the post-excavation practice of dating finds and building matrices. The book then looks at the people who have been responsible for many of the most important discoveries in world archaeology, and the final section of the book is an overview of the world's greatest archaeological sites broken down into sections on specific geographic regions. Christopher Catling writes for the Institute of Field Archaeology, the Society of Antiquaries, and English Heritage, and is the Vice-Chairman of Cotswolds Archaeology. He is also an established travel writer. Paul Bahn is a writer, editor and translator of books on archaeology. He studied archaeology at the University of Cambridge and has held post-doctoral fellowships at Liverpool and London, plus a J. Paul Getty fellowship in the History of Art and the Humanities.